There is a particular brand of peach tea that I often purchase on grocery shopping trips. However, when peaches are in season I can’t resist making my own. 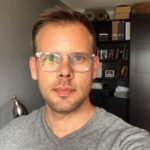 Knowing precisely what’s in my tea is so important and having peach season to have a bit more control over what I put into my body is a major benefit. 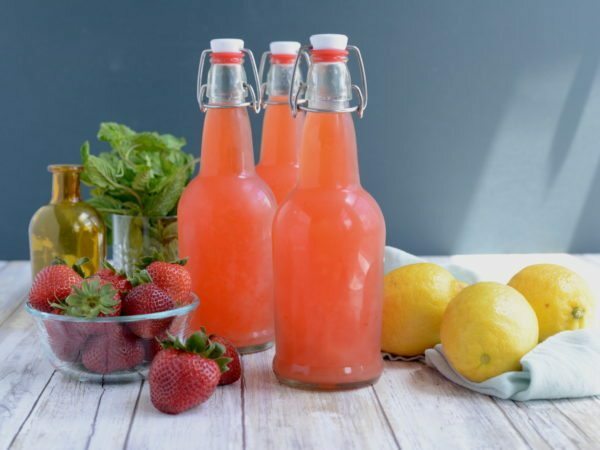 This recipe is just so incredibly easy and just takes a bit of patience while the flavors infuse and meld with each-other. 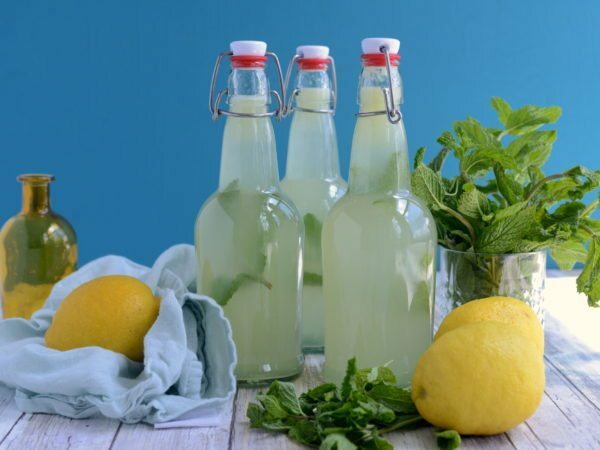 One thing to note, I like my tea a bit on the sweet side – you can certainly control this on your own by reducing the amount of sugar in the recipe, or using a simple syrup to sweeten your tea once it’s made to get it just right. Gather your ingredients. 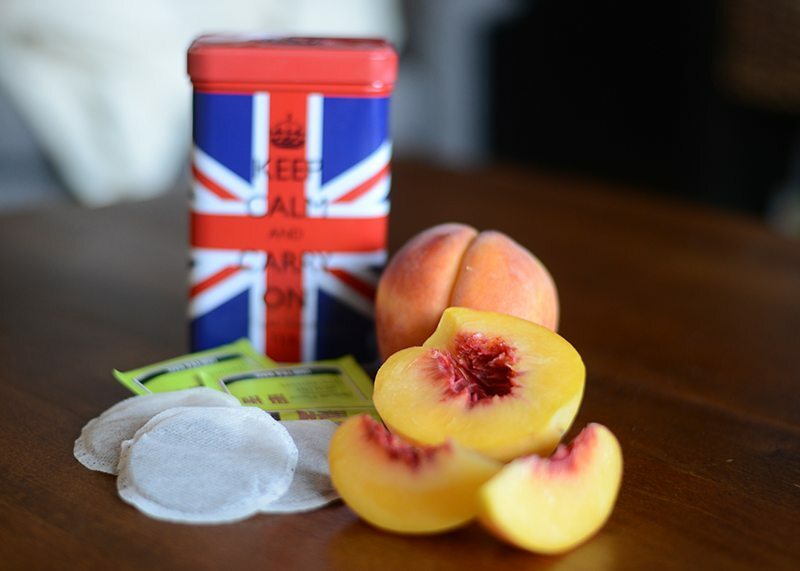 You’ll want some nice ripe peaches (sliced up), green tea and black tea sachets. 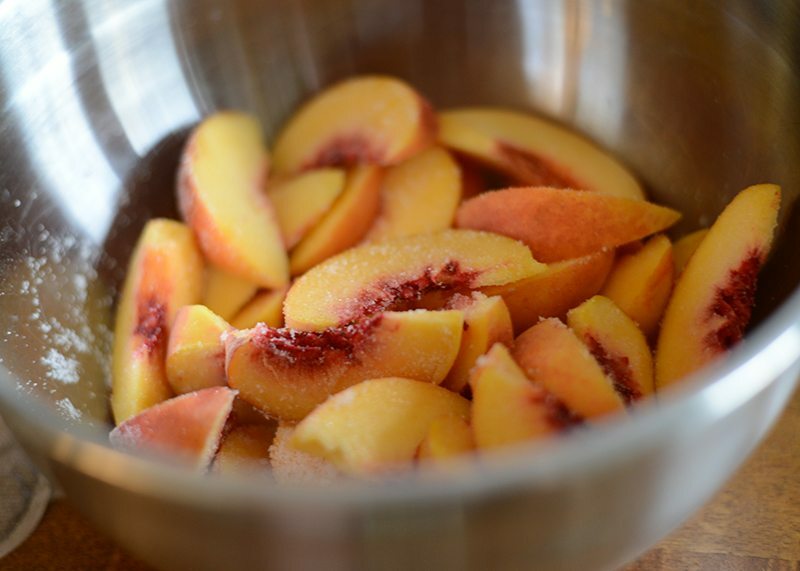 Next toss the sliced peaches in a large bowl with your sugar. Next add your tea bags and lots of piping hot water. Seriously – that’s all it takes. 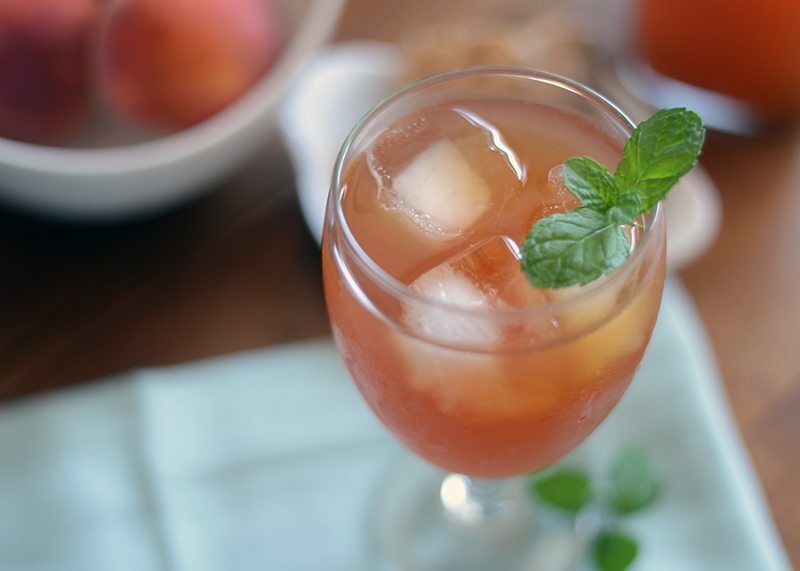 Wondering what to do with the left over peaches that are so amazingly infused with the flavors of tea? Check back later this weekend for an amazing twist on our Pear Spice Cake recipe. 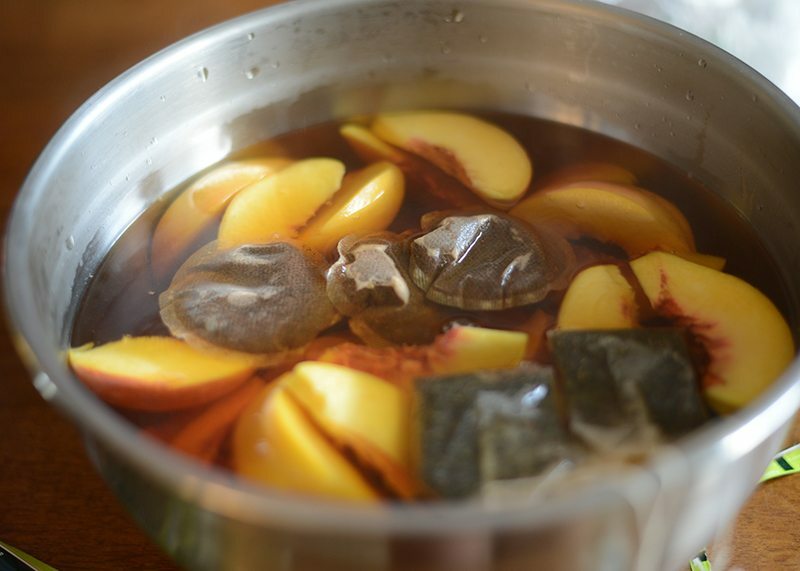 In a large heat safe bowl, place the peaches, sugar and tea bags in the bowl and pour over the water. Cover and let sit for 30 minutes or so. With a potato masher, mash the peaches down after they have been sitting in the hot water for about 30 minutes. Then cover again and place in the refrigerator over night (12-18 hours) to properly meld all the flavors and further. After the tea has properly steeped, strain it through a mesh strainer into your favorite pitcher and enjoy!